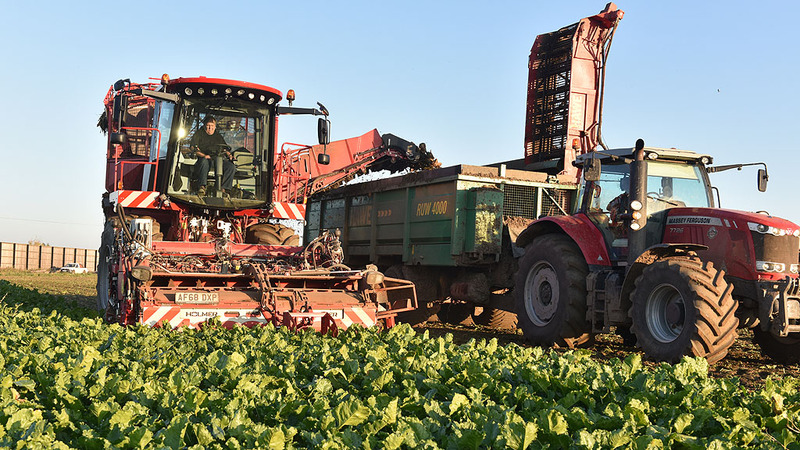 Lincolnshire sugar beet grower and contractor, Richard Ivatt has undertaken the first on-farm field trials of the new seed treatment, Vibrance SB, this season. Although the crop is set to be left until December for scheduled lifting, initial early autumn trial digs on the seed treatment trial showed a 9-10% increase in root weight from the Vibrance SB, compared to both Cruiser Force and Thiram. 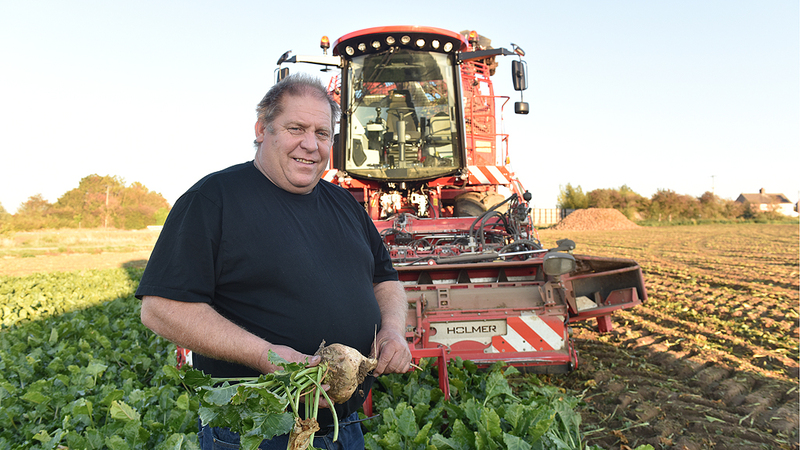 On his own farm’s 160 hectares of beet, part of 690 ha of arable cropping based at Baston Fen, near Bourne, Richard has noted that improved establishment, to achieve the required 100,000 beet plants per hectare, has been instrumental in consistently raising yields over the past decade. Seedbed quality is the key starting point and, even with the high cost of seed, he would advocate erring towards a higher 1.1 or 1.2 units per hectare if conditions are less than perfect for seed to soil contact. Seedbed P & K is in sufficient quantity to ensure the beet is never short. Furthermore, seed treatment has been instrumental in overcoming the farm’s history of soil pests, reported Richard, who also contract lifts around 1200 hectares of beet a season. Having had this season’s spring sugar beet sowing delayed by three to four weeks by cold, wet seedbed conditions, the seed treatment trial was one of his first to be drilled, on 25 April, onto a medium-gravel soil field. He alternated six-rows of Vibrance SB treated variety Sabatina, with six of farm-standard Cruiser Force and six rows of Thiram treated. “Emergence and initial growth as the soils rapidly warmed up, with plenty of moisture, was consistently good across all the treatments, with near 100% establishment,” recalled Richard. “It was all growing beautifully, and then the drought hit. It was really clear that the Thiram and Cruiser Force started to go off first, with leaves wilting and then laid out flat, whilst then Vibrance SB rows were still standing." "They appeared to stay upright, and presumably more active, for weeks longer,” he recalled. An initial assessment of the young plants showed significantly longer tap root growth on the Vibrance SB treated plants, which was believed to be helping plants scavenge for moisture and nutrients deeper and more efficiently. When the drought finally broke, Richard was amazed how all the plants recovered surprisingly well and have benefitted from the prolonged sunshine and warm weather into October. 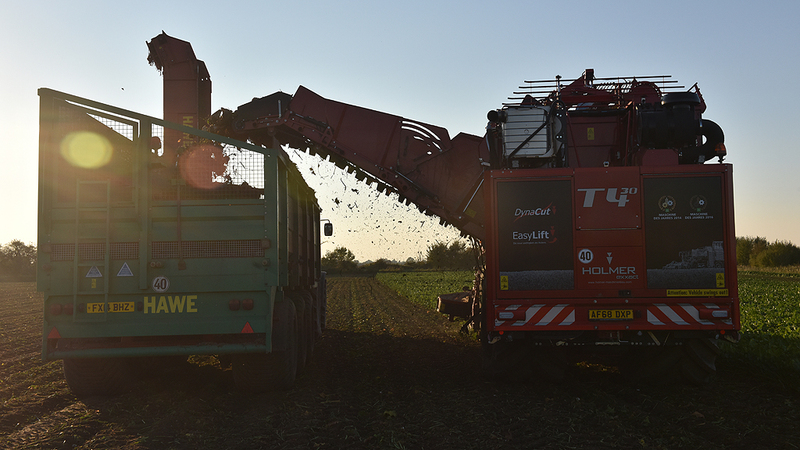 With the new beet pricing he argues growers have to continue to increase yields to deliver the required returns per hectare, rather than cut costs. Adopting new seed treatment technology could be the next step in yield to maintain margins and the crop’s attraction for sugar beet growers, he believed.